Check out the new Wordless Wednesday HQ! >Nice! Nothing like a little challenge, heh? :)Can’t wait to see how this one progresses! >This one’s going to be really awesome. >Thanks for the comments! And, Abeadlady, yes, that would be cool. I am thinking big! >Oh my goodness! I don’t even think I would have the patience to sketch that out, let alone bead the whole thing!! I’m really looking forward to seeing this one come alive! >That will be cool I look forward to seeing it progress. >Maybe it will be displayed at the Whitehouse when it’s finished. What a neat idea! Can’t wait to see how you accomplish it. >Yet another wonderful idea for your beaded paintings. This will be wonderful to follow — but heck, all of yours are terrific to follow. >Thanks! I am still thinking about how big it should be, but I think it will definitely be a good size! >Very cool! I can’t wait to see it come to life. Good luck and happy beading. >Looking forward to following another one of your streams of bead consciousness as you work. What a great idea. 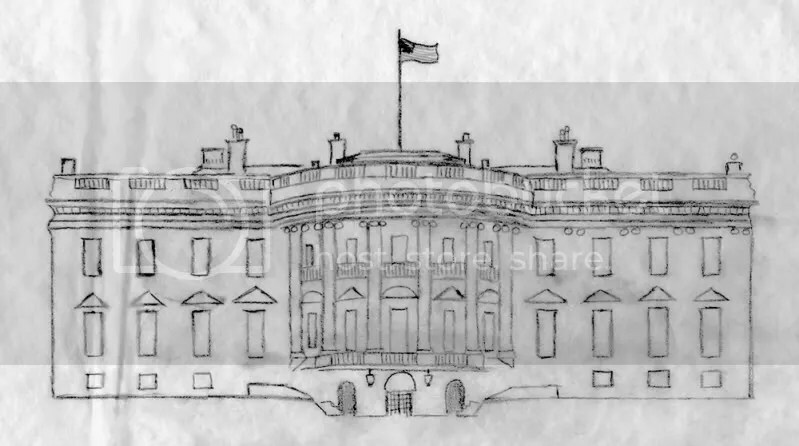 How big will the White House part be?